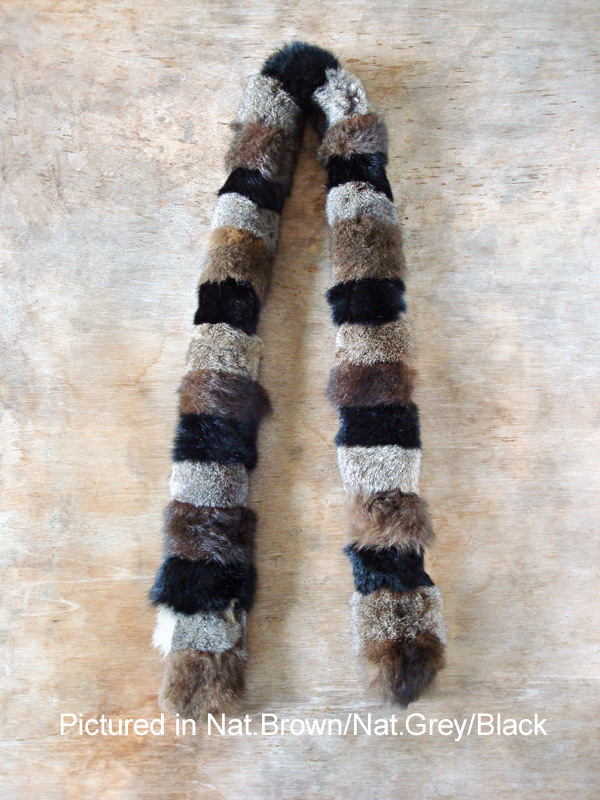 You’ll have fun with this long caterpillar-like, multi striped possum fur scarf. 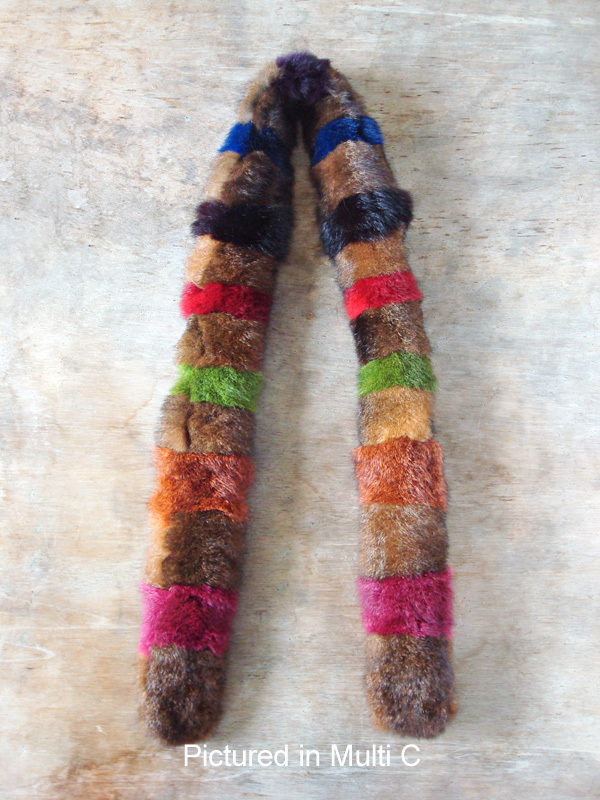 It snakes around your neck to make a very sporty fashion statement. 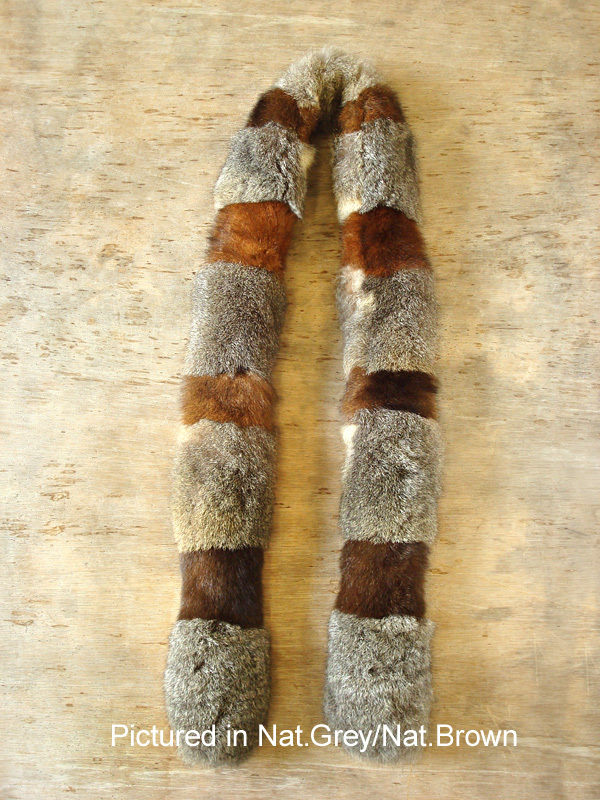 We fabricate this scarf out of premium offcuts with each piece being hand cut. You can choose from natural highlights to bold myriad colours and we'll sort out the best colour combos we have on hand to give you a unique item. However, if you have a fave colour that you would like us to incorporate into this scarf, simply state your request at our "special requests" box at checkout and we'll do our best! 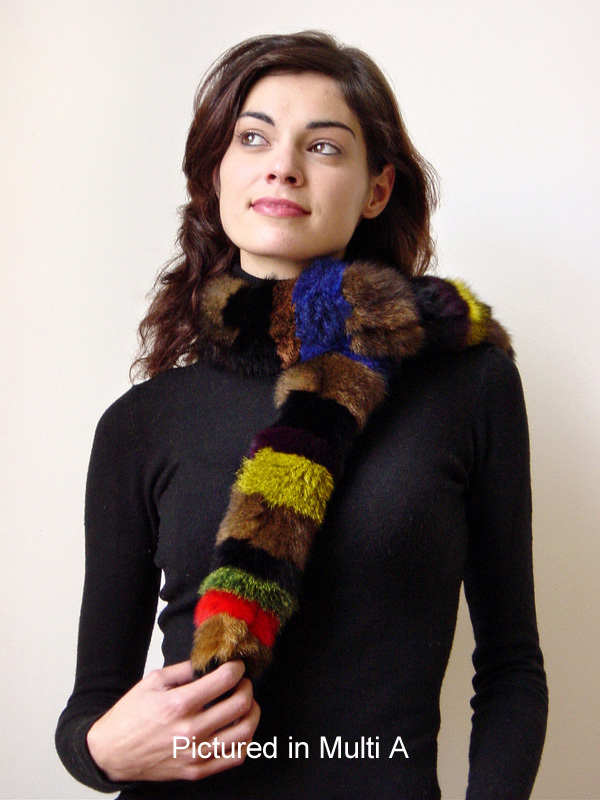 Each scarf is unique and the pictures provided are but indications of what can be done as the finished products can contain variations as to shadings, stripe widths etc. All stripes are creatively matched for a superb artistic result! 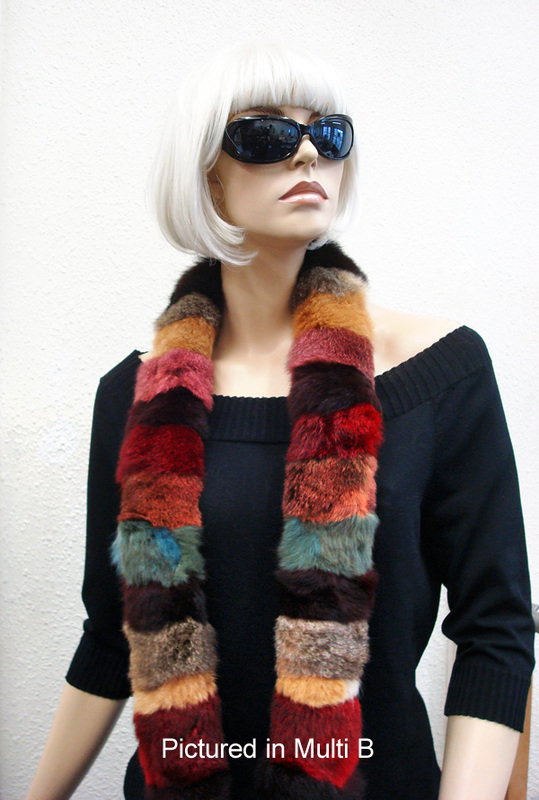 Knot the Harlequin or keep twisting around your neck and be enveloped in warmth and luxury. Order one of our striped bags or muffs at the same time and we will co-ordinate all items to match precisely.